Double Damage Games has announced a prequel to it space shooter, Rebel Galaxy with the arrival of Rebel Galaxy Outlaw. The game is aiming to launch in Q1 2019 on PC, PlayStation 4, and Nintendo Switch. Take a look at the announcement trailer. The game is described as a “blue-collar space combat adventure packed with outlaws, explosions, gleefully unrealistic spaceflight, and a hell of a soundtrack”. 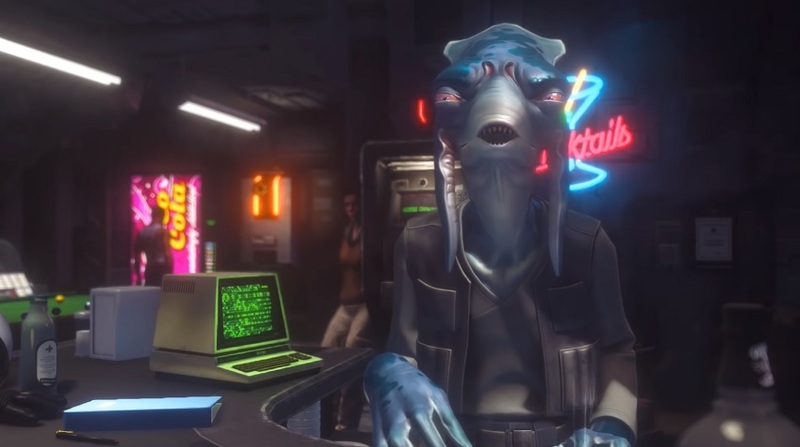 Rebel Galaxy Outlaw is a sort-of-prequel to 2015’s Rebel Galaxy, this time dropping you right into the cockpit and doubling down on the roadhouse vibe of the previous game. Rebel Galaxy Outlaw features high-octane space combat, over 20 hours of subspace radio, side activities like billiards and dice poker, plenty of sketchy characters to meet, and sketchier jobs to take on. Nobody’s saving the universe around here – they’d settle for saving a couple of credits.